You are here: Home / March / Easy Peasy Pi Day: All you need is Yarn! 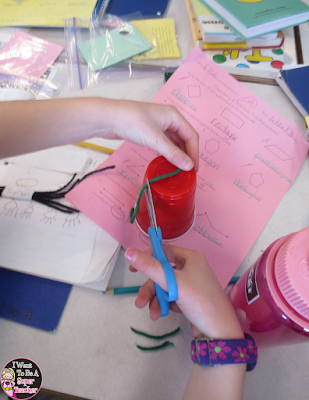 Need a quick and easy Pi Day activity for your second or third grade elementary students? Try this idea. All you need is yarn! 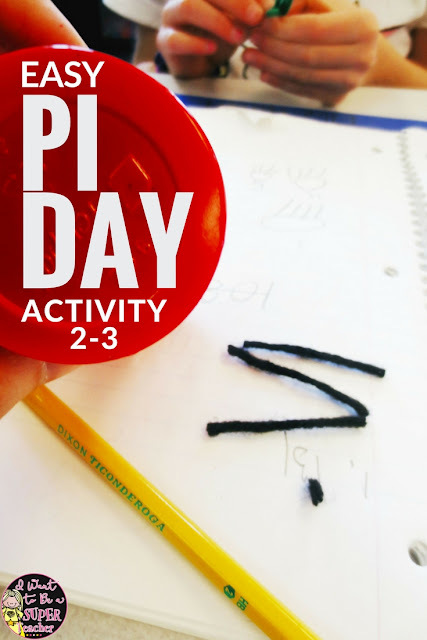 Teachers can use this simple hands-on classroom activity during math, science, or just as a fun quick project to celebrate Pi Day on 3.14. A perfect (LOW PREP) activity for learning how Pi relates to circumference and diameter. 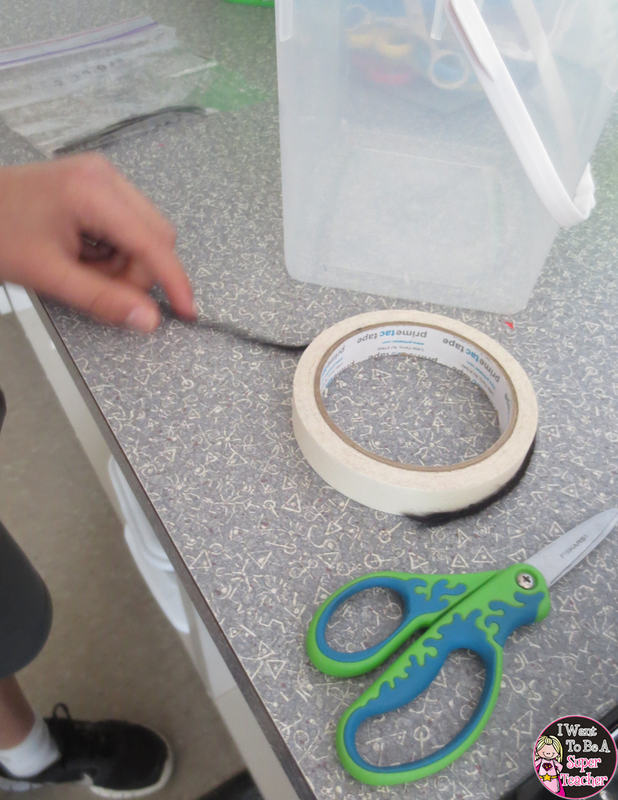 Materials: All you need is yarn, scissors, and round things. Every classroom has those right?! #1. Have students choose a round object. #2. 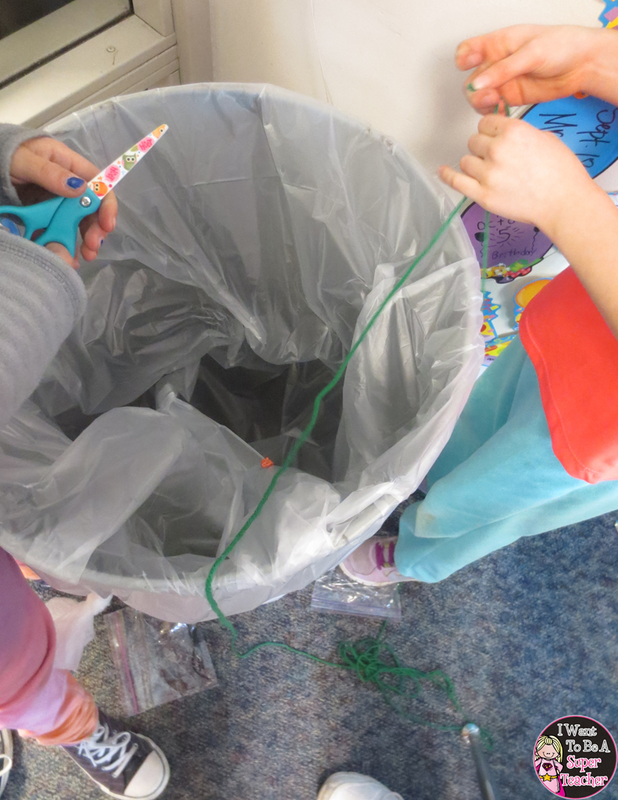 Have students wrap the yarn around the circumference of the round object and cut the yarn to show one measurement around their object. #3. Now students will take this long piece of yarn and see how many times they can measure the diameter of their circle. 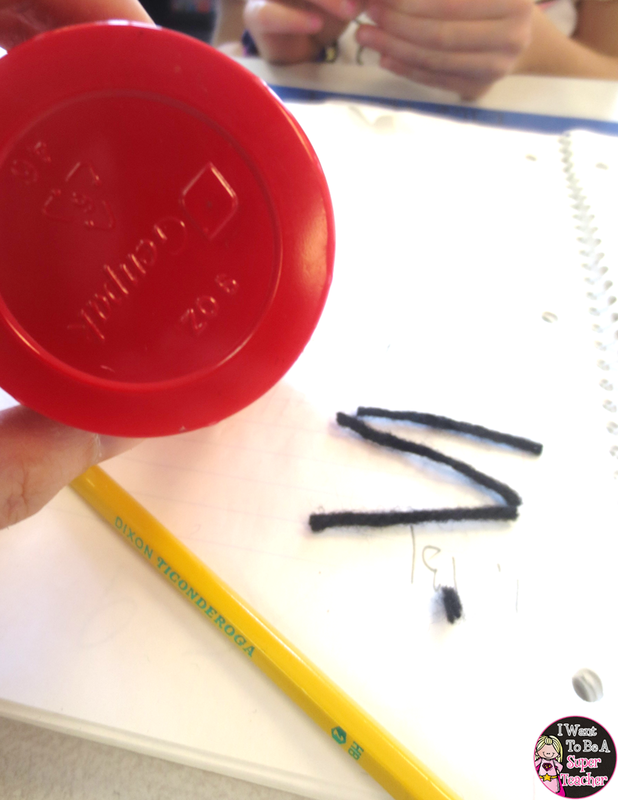 They will cut a piece of yarn for every diameter they measure. Yarn, scissors, round things, DONE! Fun, memorable, and quick – my kind of Pi Day activity! Need more math activities for March? There are now monthly math challenge sets for every month of the school year! The March Math Challenges & Brainteasers Pack includes 26 math problems with spring and March holiday themes like: Pi Day, St. Patrick’s Day, rainbows, March Madness basketball, leprechauns, clovers, and Read Across America. Did you try out the yarn activity? Tell me all about it in the comments! This activity is so awesome. The kids will be able to understand it easily. A big thank you! !